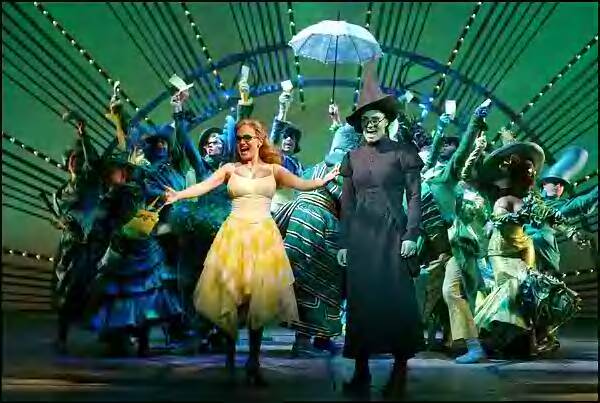 As you may or may not have guessed from the title of my blog I am the biggest fan of Wicked the Musical, I love it, it's changed my life it really has, I heard it about 2 years ago for the first time and it just had this amazing impact on me, I was depressed at time and it lifted my soul, I have always loved musicals mostly due to the fast that I love to sing and this one, wow do I sing with feeling, I identify with Elphaba so much, she wasn't really bad she just had a reputation, made a few mistakes and in the end it was easier for her to be what they wanted her to be. 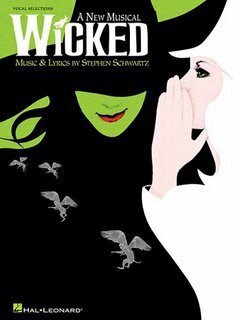 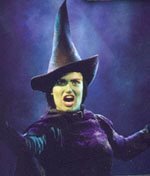 This musical speaks to me, it's the only musical which has made me cry by just listening to the soundtrack, I have read the plot and also Gregory maguires novel "Wicked, the life and times of the wicked witch of the west" But when she and Glinda sing for good at the end of the musical the emotions get me every time. So the Wicked soundtrack is the most played CD in our house, Paul loves it, the kids love it, we all sing along and this September Wicked will open in London, tickets go on sale on Sunday, see www.wickedthemusical.co.uk for details, thats going to be my Christmas present this year a trip to London to see Wicked with my hubby.